..Janacek’s Sonate is an intense and emotionally powerful piece throughout in which Petra Casén had unlimited possibilities to show her technical skill but above all her musical feeling. She brought forth the lines of the pieces with a living pulse and beautiful feeling for colours. Prokofiev’s Visions Fugitives were without doubt a powerful performance…brilliant and inspiring. 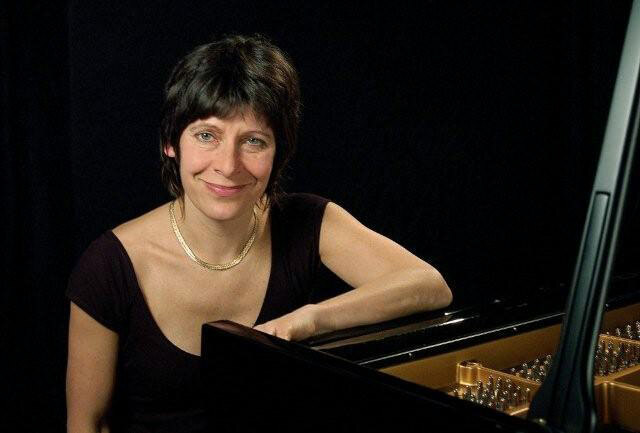 Petra Casén treated the piano masterly [in Peter Feuchtwanger’s Tariqa]. The impression given by Petra Casén …was of great inventiveness. …Her gift of alluding to and of creating a special atmosphere was again to be found in the rest of her programme, and in particular in Tariqa [by Peter Feuchtwanger]…With irreproachable respect for the capabilities of her instrument, Petra Casén managed to bring this off in splendid fashion. Petra Casén presented us with an original and moving piano recital…She is gifted with the art of creating musical images, as is seen in the three Novelettes by Poulenc…Prokofiev’s Visions Fugitives is a charming sequence of cameos…with which, thanks to her temperament and to her musical maturity, the pianist was to make the highlight of her recital. Striking originality streamed forth, at times melodious and at times poignantly secretive…We passed from one musical image to the next, quite entranced by the freshness of her flashing eloquence. To conclude, I would once again emphasise the all too rarely found attention that Petra Casén pays, to give each note its true value, and to her reaching out to the very essence of each piece. Thus mastery is born of discretion, the listener is carried away on a wave of emotion and the music becomes a supernatural language. The concert pianist Petra Casén is a great talent who showed an astonishing versatility in the recital she gave in Olofström…The small and fragile pianist offered a mighty musical experience and she performed with fantastic inspiration and emotion. This was particularly expressed in Chopin’s well known Sonata in Bb minor. The Sonata is in itself a paradox with its dramatic power which is contrasted with poetry and lyricism. Petra Casén rendered the melancholy in the third movement with its well known funeral march with utmost brilliance. This lunchtime recital in one of the Fringe’s best classical music venues was a good example of the largely unsung but eminently satisfying experiences to be tucked away in the programme. The Swedish-born pianist Petra Casén chose an absorbing selection of music, and proved to be an adept and sensitive interpreter of it. She opened with two Preludes and Fugues from Book I of Bach’s Well-Tempered Clavier, then revealed an elegant sense of phrasing and deft touch in a crisply weighed account of Mozart’s Sonata in C minor, but her taut, undemonstrative style and concentrated attention to telling detail was arguably heard to greatest advantage in Brahms’ 6 Piano Pieces, Op.118. …Her interpretation of Bartok’s Suite op.14 was most convincing. It swept past, well controlled and with vigour with a calmly resolved final movement. Chopin’s Bb minor Sonata was played with breadth, freshness and emotion. The first movement was held together in big dramatic sweeps, the funeral march moulded with great consequence, and the incessant passages of the finale slid past like threatening shadows. …It is in the ensuing andante [in Schubert’s Sonata in A major op.120] that pianists can demonstrate their true Schubertian credentials. Here, Petra Casén had strength, colour and exquisite phrasing. She moved effortlessly into the closing allegro, drawing out the crystal clear scale passages of this delightful movement. …Chopin’s 24 Preludes are relative miniatures but that did not prevent the pianist wallowing in the E minor largo, dancing through the sprightly G major vivace or exploring the darker chasms of the thunderous G sharp minor presto. Petra Casén’s interpretation of these quickly changing visions [Prokofiev] was a most convincing synthesis of technique and sensibility…As an encore she delighted the audience with one of Debussy’s Studies, played with elegance, virtuosity and self evidence.